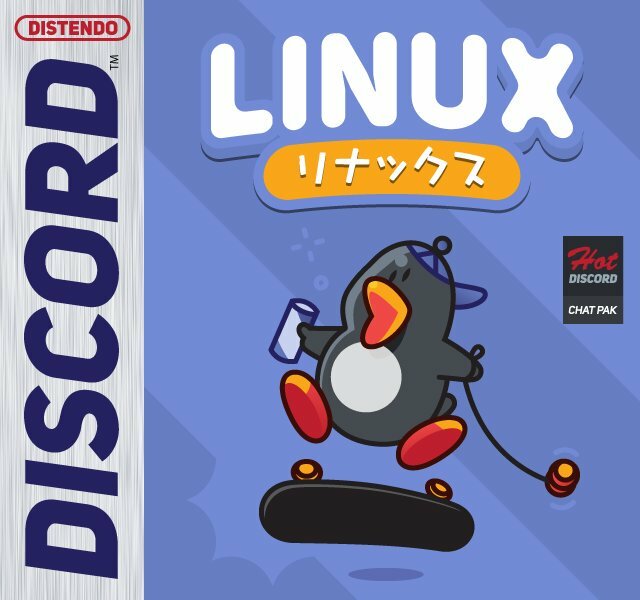 Discord, the insanely popular chat and VOIP client primarily aimed at gamers is now officially supported on Linux and out of beta. Download it here. It provides either a .deb or a .tar.gz and you need to be 64bit to use it. Personally, I think it's great. You don't actually need a client to use it, as you can use it directly in the browser which makes it rather useful. I've seen people worried about their terms and conditions, with it stating that by using it you grant rights to your content to the parent Company. To make it clear, this is no different to Reddit, Facebook and almost every site/application that you put content into. That means you have your own email server running on a rented server? Or do you mean an email address connected with your personal domain? jasondaigo typing in a nickname of your choice and using an email adresse of your choice will not harm you in any way if they sell it later because they already have my email adresse from amazon or netflix or whatever. It's not our emails or personal details we're talking about, but anything we write or say using their services. You know, content, whether it's public or private. It's okay if that doesn't bother you personally. 0aTT For Mumble you will need a server, of course. But for everything else you will also need a server. For mail, homepage, wiki, blog, jabber, nginx and simply everything else you do online. You can use different services for all this and distribute your virtual identity across all possible companies like so many people do. But at the end of your life you will not have saved time. People spend years of there life just feeding companies. Discord is just a Mumble clone. They've used many parts of the mumble sources I've heard. What is their business model? I'll tell you: In a few years, they will sell everything to Microsoft or whoever with all our data. Thumb rule: Only use services if there are indispensable advantages. Valuable services are e.g. : Steam, Twitch, GitHub and some more. Things like Discord are simply superfluous. It is a private closed system for which you do not have to pay anything. This should make everyone suspicious. How do they earn their money? Discord never announced it but if you check their blog you can see something "secret" that they are working on called Discord Nitro which is basically a premium service that will give you things that aren't necessary such as larger file uploads, custom emojis across servers and you can upload animated avatars/profile pics. So basically they'll gain something and keep everyone with core features 100% free. Of course the reason they haven't announced this it's because they want to see what people think of it and what could change. I'll try it out, but at 200 MB of RAM I'll probably end up going back to the browser client instead since Firefox is always running anyway. On the other hand, I could probably close FF while I play games and keep only Discord open now that I can run it on its own. Anyway thanks for the heads up, I didn't get any notification that the client was out. Quote I've seen people worried about their terms and conditions, with it stating that by using it you grant rights to your content to the parent Company. To make it clear, this is no different to Reddit, Facebook and almost every site/application that you put content into. It's as bad as other services, therefore we can use it? Seriously? For some reason I don't use any of them except for Google - which I really have to get rid off. It's great that a Linux client is available. I probably won't use it myself since I host most of my own communication services and Discord doesn't look like they let you run your own server. I understand they probably want everyone to connect to one place, but it doesn't fit me. I also use Mumble like many others here. (TeamSpeak is great, too, but Murmur updates are easier.) If I wanted a better chat room, I would consider Mattermost. 0aTT For Mumble you will need a server, of course. But for everything else you will also need a server. For mail, homepage, wiki, blog, jabber, nginx and simply everything else you do online. Granted, but that doesn't address my complaint that I don't know how to set up a server, let alone maintain it. (And I've found scant "how-to" set up Murmur written for the clueless, such as me.) There seems to me to be a vast difference between "needing" to use a server and setting up and maintaining a server to use it. I'm rarely (by which I think I mean "never") required to set up and maintain servers for anything I do online. 0aTT Thumb rule: Only use services if there are indispensable advantages. Valuable services are e.g. : Steam, Twitch, GitHub and some more. I agree. And Discord offers me one such "indispensable advantage:" I myself don't have to set up and maintain a server to use it. THAT feature alone marks Discord as a very "Valuable service" indeed! 0aTT ... at the end of your life you will not have saved time. Au contraire mon ami! Look at all the time I've already saved using servers set up and maintained by others, Discord not least among them! 0aTT How do they earn their money? However they do it, it's more ethical than Microsoft, Halliburton, Union Carbide, AT&T, Chase Manhattan ... or countless other bottom-line feeders lurking in the murky waters of international capitalism. I don't need people telling me to use open-source software, I need open-source people telling people like me --- normal, non-technically-minded people --- how to use their software. Until then I'll make do with what tools are avalable to me. Picoboom I don't need people telling me to use open-source software, I need open-source people telling people like me --- normal, non-technically-minded people --- how to use their software. Until then I'll make do with what tools are avalable to me. If your cry for help is serious, I can probably write short instructions for you to run a Murmur server if you know how to install Linux. Murmur is one of the easiest things to host. Maintenance of the server can be set up to be mostly automatic as well. The process of doing so is pretty short.